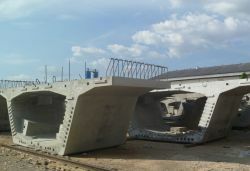 More and more innovative technologies in precast concrete industry have been developed to meet the future demands. When demands on material quality and services are constantly changing, our company embraces change and tends to see technology advances in products through our core business. High quality manufacturing is more than just equipment and materials. PT Jaya Beton Indonesia is dedicated to recruit the finest people with best skills and committed to an atmosphere of improvement through teamwork and well-trained professionals.